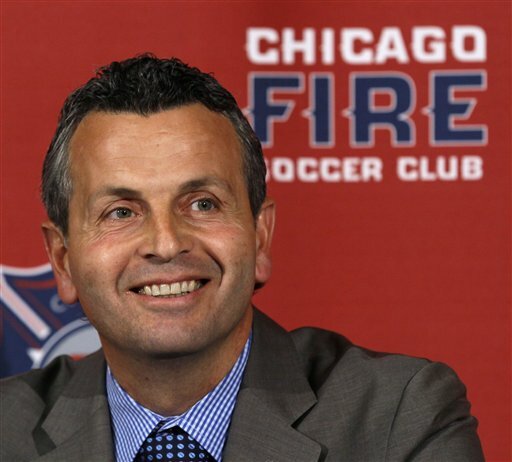 In the coming weeks, the Chicago Fire should be announcing an abundance of player options that they are picking up heading into 2012. 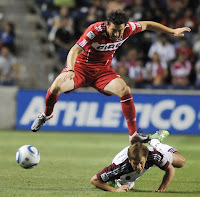 The Fire have yet to officially state the return of midfielder Pavel Pardo or comment on other players' contract status, but in all likelihood a large portion of the 2011 squad should be on board next season. "We're still going through that and evaluating the whole season," Fire head coach Frank Klopas said Tuesday. "We've worked very hard to bring a lot of players and feel good with the base that we've built." 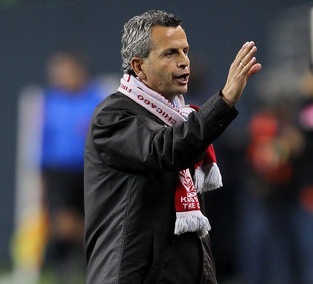 So pending the formality of the team announcing the return of much of its roster, Klopas is focused on an overseas trip to find potential talent to fill in some gaps and build off the momentum that Chicago had in the latter half of the previous season. "We're way ahead of where we were last year as an organization," Klopas said. "We've worked hard to build relationships and find the kinds of players who fit in here financially and with the characteristics of this league." CHICAGO -- Eclipse Select Soccer Club midfielder and Crown Point High School junior Sarah Rivich is coming off a stellar girls soccer campaign that included her recently being named The Times of Northwest Indiana 2011 Girls Player of the Year. 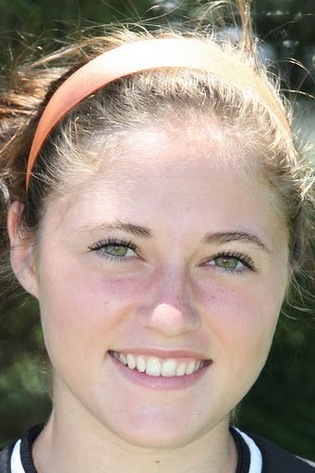 "Sarah is a special player," Eclipse Select Northwest Indiana coach Tom Naumoski said. "Even with our club, she would do whatever we ask of her. She simply excels. She is always the first person on the field and the last to leave, and she pushes herself to be the hardest worker on the pitch." 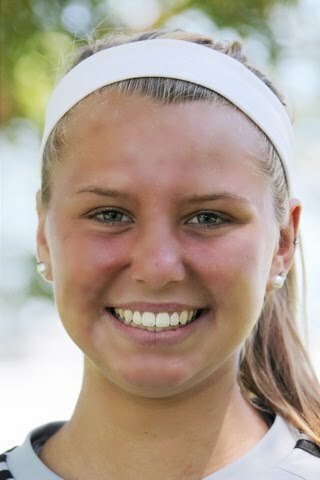 CHICAGO -- Eclipse Select Soccer Club defender and New Lenox, Ill., resident Taylor Schissler is one of 26 players who were called in to participate in the U.S. U-18 Women's National Team's final training camp of 2011. The Lincoln-Way Central junior will take part in a Dec. 11-18 training session in Sunrise, Fla. Technical director April Heinrichs will lead this group, which likely will form the core of the team that will compete toward qualification in the 2014 FIFA U-20 Women's World Cup in Canada. The Chicago Fire will play in their earliest regular-season home opener when they kick off their 2012 Major League Soccer campaign. The Fire and other MLS teams announced their 2012 home dates on Tuesday, and Chicago hosts a match at Toyota Park on March 24. Opponents and time slots will be announced at a later date. It marks the second straight year that Chicago has hosted a March home opener. The Fire topped Sporting Kansas City, 3-2, on March 26 this past season at Toyota Park. Any concerns over losing a portion of the Chicago Fire's roster were put to rest as the Montreal Impact made 10 selections outside of the Fire's unprotected player pool during Wednesday's MLS Expansion Draft. Former Fire midfielder and Impact head coach Jesse Marsch inherits a franchise that selected former Houston Dynamo forward Brian Ching with the top pick in the draft. Despite reports that Ching said he would retire if selected in the expansion draft, the Impact took him No. 1 anyway. 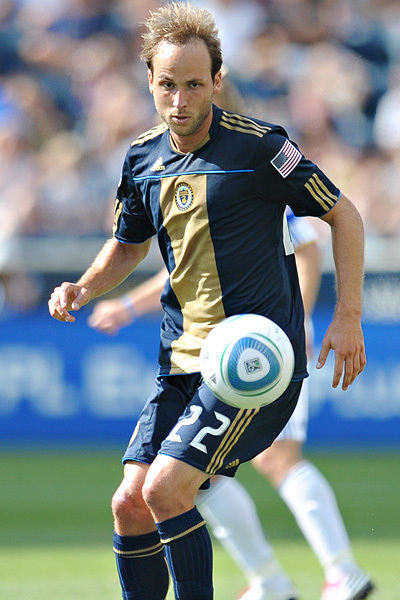 The Impact's third selection was former Fire midfielder Justin Mapp out of the Philadelphia Union. Mapp started in 24 of 29 games this past season, tallying three goals and four assists. CHICAGO -- Eclipse Select Soccer Club U-17 midfielder and Elmhurst, Ill., native Bridget Hillsman has made a verbal commitment to play for St. Louis University. 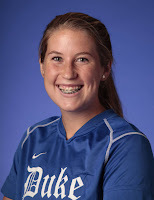 The Fenwick High School junior will join the Billikens for their 2013 campaign. "It's a huge relief. I'm so excited," Hillsman said of making the commitment. "I've been looking forward to this since I was really little." The St. Louis program clearly was in a rebuilding mode this year. But by the time Hillsman joins St. Louis, it should be a mostly veteran team. This year's Billikens roster featured three seniors, five juniors, and the top two scorers were underclassmen as they still finished around the middle of the pack in the Atlantic 10 Conference. "I'm pretty optimistic," Hillsman said. "I know they have a young team, but looking at how they played throughout the season, they have a lot of freshmen who will be juniors when I get there. It will be a little bit of a different situation." CHICAGO -- Eclipse Select Soccer Club alumna and Duke junior midfielder Nicole Lipp (Lake Forest, Ill./Lake Forest) assisted both of her team's goals as the Blue Devils defeated Ohio State, 2-1, on Sunday to advance to the Elite Eight of the NCAA Tournament. Duke had to overcome a 1-0 halftime deficit, and Lipp stepped up in the 54th minute as she took a free kick from the right side and found the feet of freshman Kelly Cobb to tie the score at 1-1. The match stayed that way until the 80th minute, when Lipp took a free kick from a good 40 yards away and found sophomore Kaitlyn Kerr, who headed in the game-winner just inside the far left post. Duke now prepares for a match against Long Beach State on Friday at Koskinen Stadium in Durham, N.C. The Chicago Fire and other Major League Soccer teams submitted their 11-player protected lists Monday in preparation for Wednesday's MLS Expansion Draft for the Montreal Impact. Among some of the Fire's noteworthy players left unprotected are forward Diego Chaves, midfielder Daniel Paladini, and defenders Dan Gargan, Josip Mikulic and Yamith Cuesta. The Chicago Fire struggled mightily against Western Conference teams this past season with a 3-8-7 record, compared to a very respectable 6-1-9 mark against their fellow Eastern Conference sides. The days of a balanced schedule will come to a close with the Montreal Impact joining MLS as the league's 19th team next year. There will be some significant changes within the league in both the regular season and postseason. The Impact, coached by former Fire midfielder Jesse Marsch, will become the 10th Eastern Conference team. Next year during the regular season, each Eastern Conference side will play a total of 25 conference matches and nine matches against West teams within the 34-game schedule. Erin Holland has played soccer at an elite level since joining the Eclipse Select Soccer club when she was 11 years old. Holland, a Cary resident and junior at Cary-Grove, made sure she will be playing with another elite team when she goes to college in two years. Holland recently committed to play with NCAA Division I Marquette, which just won its third consecutive Big East Conference American Division title and plays Penn State in the second round of the NCAA Women’s Soccer Tournament on Friday. Holland has seen several Marquette games and has a cousin, senior defender Lauren Thut, on the team. CHICAGO -- Eclipse Select Soccer Club U-17 defender Taylor Schissler found everything she wanted in Ohio State University's women's soccer program. The New Lenox, Ill., resident and Lincoln-Way Central junior announced her commitment to play for the Buckeyes starting in 2013, and she joins a Big Ten Conference program that created some national attention last year in advancing to the NCAA Tournament's Final Four. "It's unbelievable," Schissler said of making the college commitment. "It really hasn't set in yet. I've always wanted to play at the D-I level, a Big Ten school. Last year's Final Four caught my eye, and when I visited there, I think I knew the weekend before I told them that I wanted to go there." Ohio State was Schissler's top choice, and she also considered Arizona State during her search. 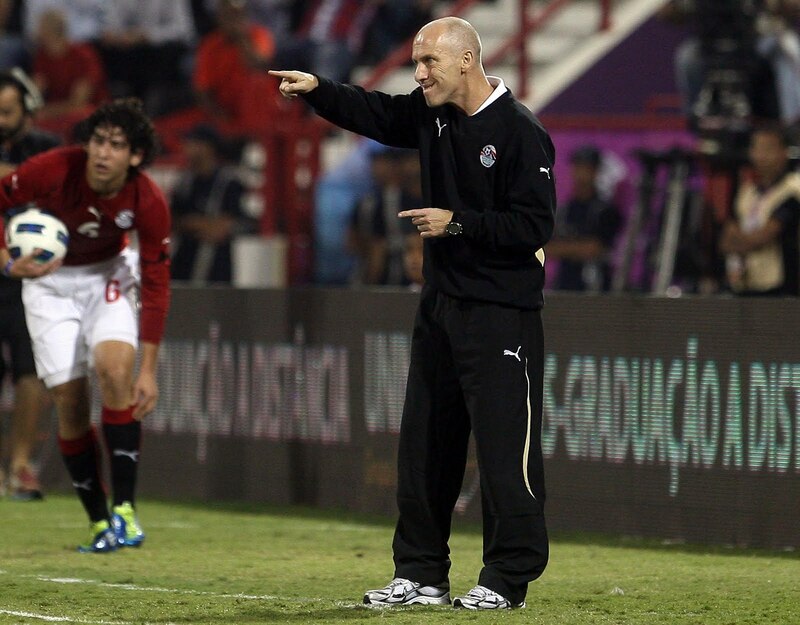 Former Chicago Fire head coach Bob Bradley, coaching for the first time since his tenure with the U.S. National Team, saw his Egyptian national team debut end in a 2-0 loss to Brazil on Monday in Doha, Qatar. 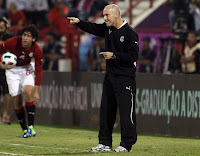 Brazilian forward Jonas netted goals in the 39th and 59th minutes to pace his side past Egypt. Bradley last coached the U.S. to a 4-2 loss to Mexico in the 2011 CONCACAF Gold Cup final in front of 93,000-plus at the Rose Bowl in Pasadena, Calif.
CHICAGO -- Eclipse Select Soccer Club alum and Ohio State senior defender David Tiemstra (Clarendon Hills, Ill./Hinsdale Central) was named the Big Ten Conference Defensive Player of the Year, the conference announced Thursday. Tiemstra, who also was included on this year's All-Big Ten First Team, led an Ohio State defensive group that allowed only 20 goals in 18 regular-season matches, and only seven goals in six Big Ten games. 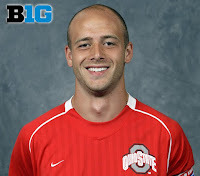 This marks Tiemstra's second straight Big Ten Defensive Player of the Year honor. 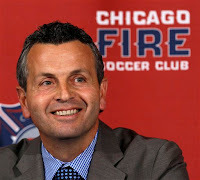 BRIDGEVIEW, Ill. -- The Chicago Fire capped off their final training session on Thursday, and now the focus squarely shifts toward head coach Frank Klopas' club making the necessary moves to improve their fate for 2012. The Fire, who posted a 9-9-16 record and put together a winning record in the final third of the season, anticipate that a bulk of this year's team will be retained for next season. That would be a big change of pace considering how hectic the player movement was after the 2010 campaign. "We did a lot of that last year," Klopas said of the previous personnel changes. "Obviously we have to look to get better. With the expansion draft (Nov. 23, Montreal Impact) there's a possibility that you might lose a player there. Like any team you're looking to get better. I think we feel very good with the base that we have. Now we've got to continue to build on that, and that's the important thing." 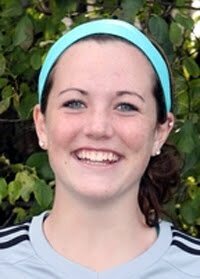 CHICAGO -- Eclipse Select Soccer Club U-17 defender and Cary, Ill., native Erin Holland has made a verbal commitment to play for Marquette University's women's soccer team. The Cary-Grove High School junior is competing in her seventh year with Eclipse Select and will take her game to the college level heading into the Golden Eagles' 2013 season. Holland looks forward to playing for a Marquette program that won its third straight Big East Conference American Division title, posting 10-1-0 Big East record and now gearing up for this year's NCAA Tournament. Holland said that Marquette's build-from-the-back style under head coach Markus Roeders resonates with her. "Our Eclipse Select team right now likes to keep the ball in play and maintain some rhythm," Holland said. "That's pretty much how [Roeders] wants to play." BRIDGEVIEW, Ill. -- The Chicago Fire have learned at times the hard way that every move has to serve a specific purpose. Fire owner Andrew Hauptman began Thursday's introduction of now full-time head coach Frank Klopas with an initial dinner meeting the two had before the 2008 season. It ended with Hauptman expressing to Klopas that he wanted him on board that year. But Hauptman did not know right away what that specific role would be. Following a tough stretch as the team's technical director and then producing a mostly successful interim coaching stint to close out the 2011 season, the results clearly showed that Klopas was best suited to lead the team on the sidelines. "We made mistakes, we've had some successes, but I think we've all grown a lot along the way," Hauptman said. "This year, when they came to me and said they were going to make a change with the head coach, it made a lot of sense for me at that point for Frank to step in as head coach. I felt like the timing was right. No one really knew the club better than he did. No one knew the players better than he did. And no one understood the possibilities more than he did." Former Chicago Fire and current Houston Dynamo forward Calen Carr has had his share of injury spells over the past several years. This year it was a concussion that he suffered during the Fire's preseason in February when the team was training in Ave Maria, Fla. Shortly into this year's regular season, the injured Carr found himself headed to Houston as the Dynamo swapped forwards with the Fire, sending Dominic Oduro to Chicago shortly after Houston's regular-season opener. Oduro found his shooting touch with the Fire en route to 12 goals in MLS play. Carr needed several more months of healing time before he even had a chance to prove his worth for the Dynamo. "It's been really frustrating not being able to have a run of games where I can put together a full, healthy season," Carr said. "The concussion, some injuries have been freak injuries -- the knee injury was a freak play. The concussion was a freak injury that I felt it would just take a couple weeks but it took longer than I was expecting. I think I've done a good job of coming back from injuries and putting them behind me. I haven't had as much work this season as I would like, but I'm looking to make the most of it." CHICAGO -- Two Eclipse Select Soccer Club alumni earned top goalkeeper accolades in their respective conferences this week. 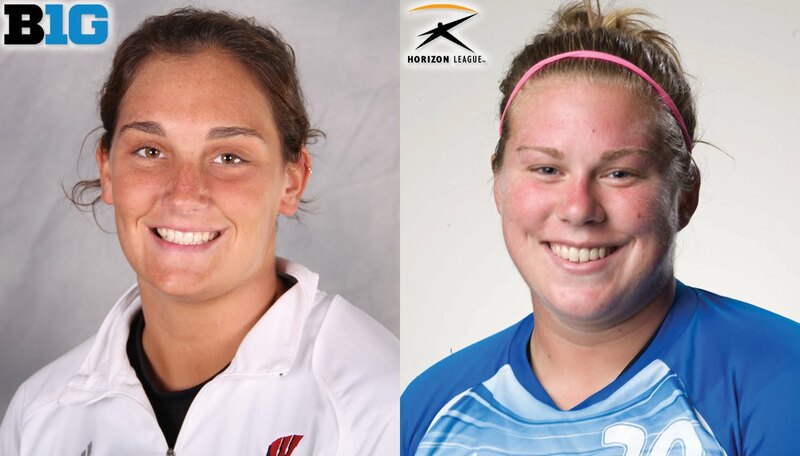 On Tuesday, Wisconsin senior Michele Dalton (Mount Prospect, Ill./John Hersey) was named Big Ten Conference Goalkeeper of the Year. And on Monday, Wisconsin-Milwaukee junior Jamie Forbes (St. Charles, Ill./St. Charles North) earned Horizon League Goalkeeper of the Year and was named Co-Defensive Player of the Year, sharing that honor with Detroit's Alexandra Suschak. Dalton also was included on the All-Big Ten First Team, becoming only the third Badger in the program's history to accomplish the feat, joining Julie Johnson (1996) and Ursula McKnight (1994). Dalton has played every minute in goal for Wisconsin this year. She is tied for second in the Big Ten with six shutouts, and is fourth in goals against average (0.91), save percentage (.825) and saves (85). Forbes, an All-Horizon League First Team goalkeeper, has started in 17 of the Panthers' 18 games this season. Forbes has posted a 0.64 goals against average, a .851 save percentage and nine shutouts -- all top marks among Horizon League goalkeepers. During conference play, Forbes allowed only two goals in approximately 620 minutes for a 0.29 goals allowed average.